Item # 305567 Stash Points: 2,995 (?) This is the number of points you get in The Zumiez Stash for purchasing this item. Stash points are redeemable for exclusive rewards only available to Zumiez Stash members. To redeem your points check out the rewards catalog on thestash.zumiez.com. 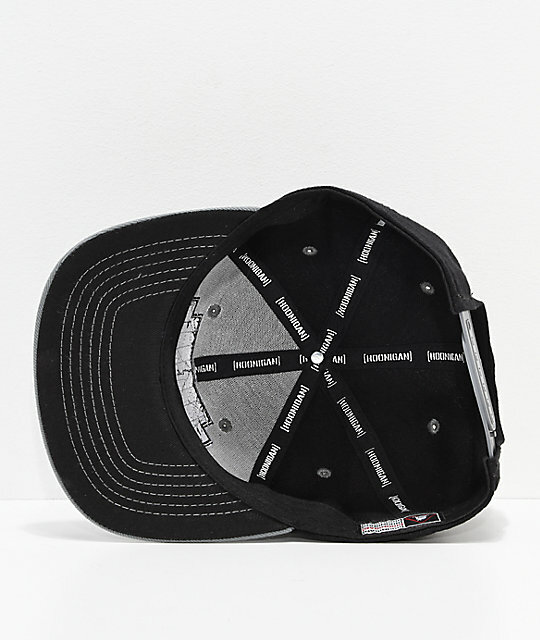 Finish off your racing look with the Bracket X hat from Hoonigan. The black crown features contrasting grey stitched eyelets, a Hoonigan "H" at the left side and is finished with a custom Hoonigan patch at the front. 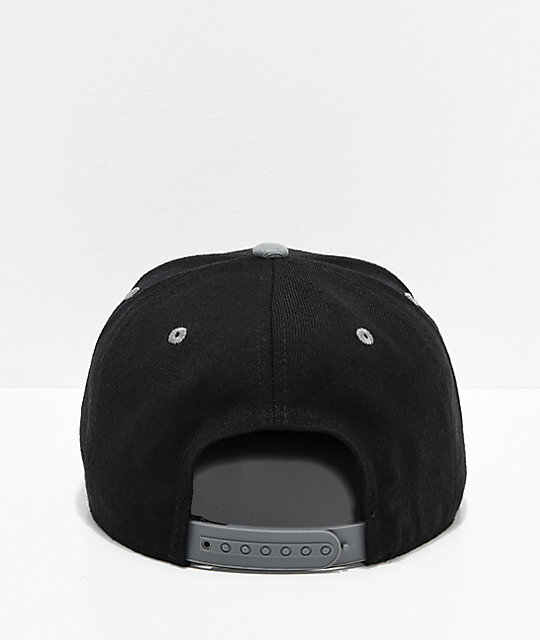 This hat is finished with a grey straight bill and strapback sizing piece for a custom fit. 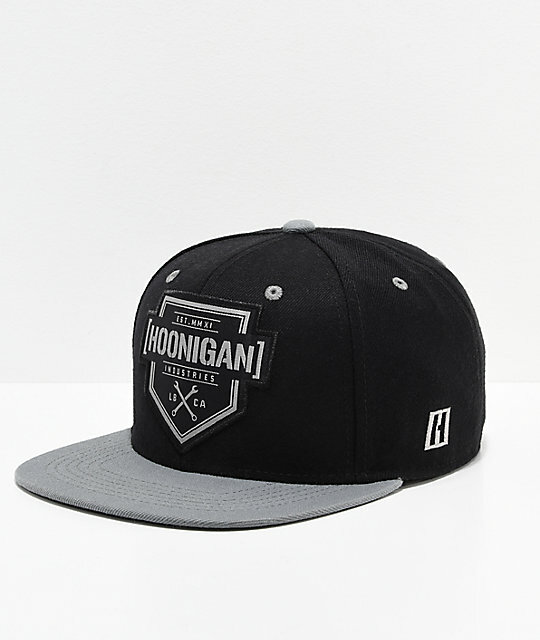 Bracket X Black & Grey Snapback Hat from Hoonigan.